StartUp 2019 Stronger than Ever! 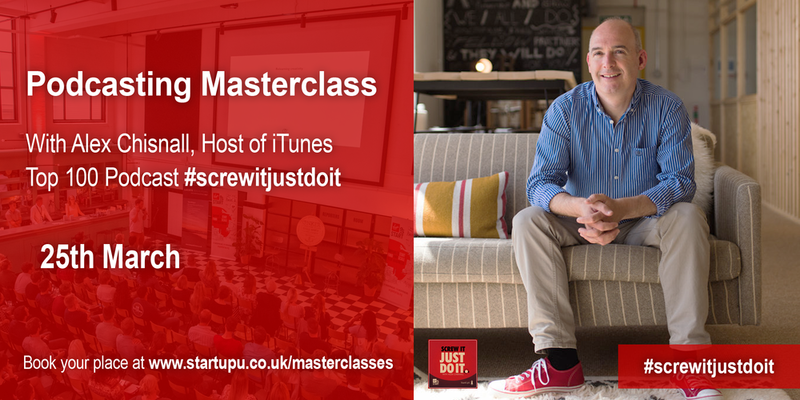 'How to Use Podcasts to Grow Your Business' is part of a growing number of masterclasses run by StartUpU to give entrepreneurs the practical skills and tools to launch and grow an awesome business! Understandings of what works and what doesn't - the do's and don't's and why 99% of podcasters get it wrong. Just £99 which includes bonuses totalling another £99+(see below) Also, lunch and all drinks & snacks are provided throughout the day courtesy of Jimmysicedcoffee, Candy Kittens, The Snaffling Pig, & The Primal Pantry.